Like Cookie Bars? Here’s 7 Of Our Best Recipes! Preheat oven to 350 and grease a 9 x 13 baking pan. In a microwavable safe bowl, melt the butter and dark chocolate in 30 second increments to avoid burning. Fold in the sugar, brown sugar, vanilla, and eggs. Stir in the flour until fully combined. Add in 1/2 the chopped Reese’s. Pour the mixture into the greased pan and spread evenly. To make the cheesecake layer, cream together the butter and cream cheese until smooth. Mix in the egg, sugar, salt, and vanilla until combined. Fold in the peanut butter. Spread cheesecake mixture evenly over brownie batter. Place pan in oven for about 40 minutes, or until center is set. Place pan in refrigerator for at least 1 hour. Melt milk chocolate chips in microwavable bowl until smooth and creamy. Spread chocolate evenly on top of cheesecake layer. Sprinkle remaining 1/2 of chopped Reese’s oven pan. Chill in refrigerator until ready to serve!! USE THE RED NEXT PAGE LINK BELOW TO SEE THE NEXT COOKIE BAR RECIPE. Quick Tip: This recipe is easily doubled when feeding a crowd. Thank you to The Cookin’ Chicks for this great recipe. 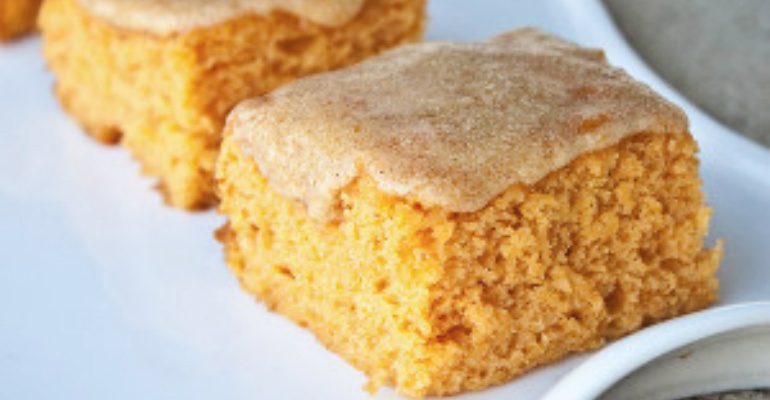 IN THIS RECIPE DO YOU USE THE INGREDIENTS ON THE BOX OF CAKE MIX OR JUST THE PUMPKIN? NI AM THINKING JUST THE PUMPKIN.